Experts say you should make dehydrated banana chips using super fresh bananas. With a runner in the house a bunch of fresh bananas doesn't last long enough to grab some to make chips. Instead, I sometimes buy overripe and discounted bananas to make into banana chips. My banana chips taste just as good as when I use super fresh bananas. Tip: Meijer puts them out on Saturdays if they have them and calls them red tape bananas because the red tape on the banana means it is discounted. I only do this when I have the time to make chips the day of or the following day because the bananas are in the eat me now stage of the game. 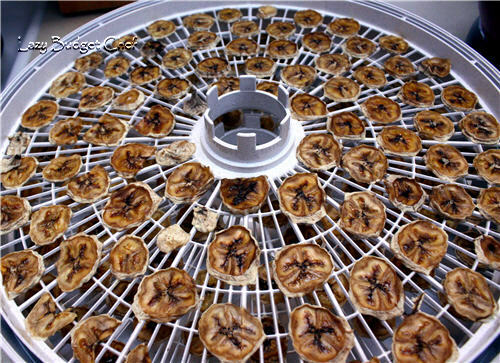 I make banana chips in a dehydrator. 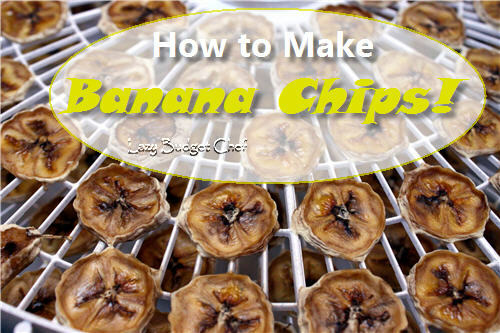 If you don't have a dehydrator, you can make banana chips in the oven by setting the oven to the lowest temperature and placing the bananas on a cookie sheet. The oven method took longer than the dehydrator method and used more energy but you do what you gotta do when you come home from a 5K with a box of bananas and the cheapo dehydrator decides at that moment to take a dirt nap. Thankfully Husband gave me a replacement for Christmas. 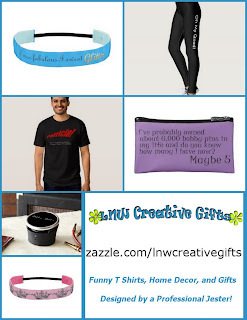 That is what you see in the photos of this post. 1. Peel and slice the bananas. Thin banana slices will dehydrate more quickly than thick banana slices. This is the perfect job for young minions (you may call them children) to do since bananas are so soft you can cut them with a butter knife. 2. 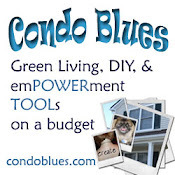 Put the banana slices on a dehydrator tray or cookie sheet if you are using the oven method. Dip the banana slices in lemon juice first if you don't want the chips to brown too much. Personally, my homemade banana chips are as brown in the photo above whether I dip them in lemon juice or not so I save myself the arduous 10 step journey from the counter to the fridge for the lemon juice and skip it. Lazy, remember? 3. Set the temperature on the dehydrator to 140 degrees (F) (if applicable) and dehydrate the bananas for 8 hours or until the bananas are dry. I set a kitchen timer to go off 4 hours in to remind me to rotate the trays in the dehydrator. 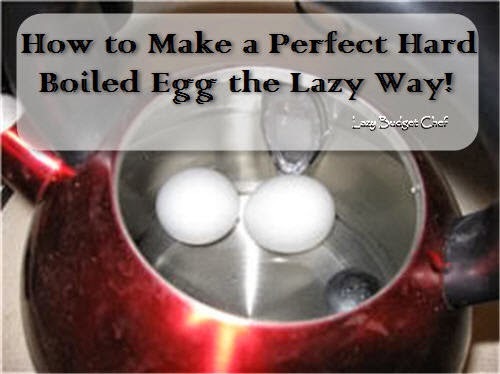 You don't have to rotate the trays, but if you do, it you will make sure everything dries evenly. 4. 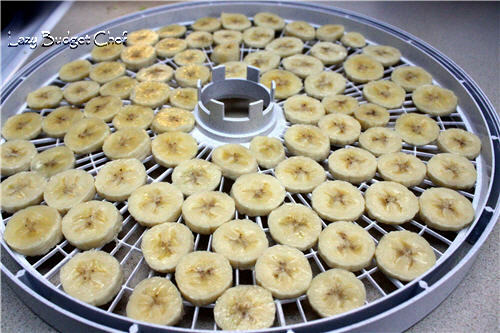 Remove them from the dehydrator and go bananas!